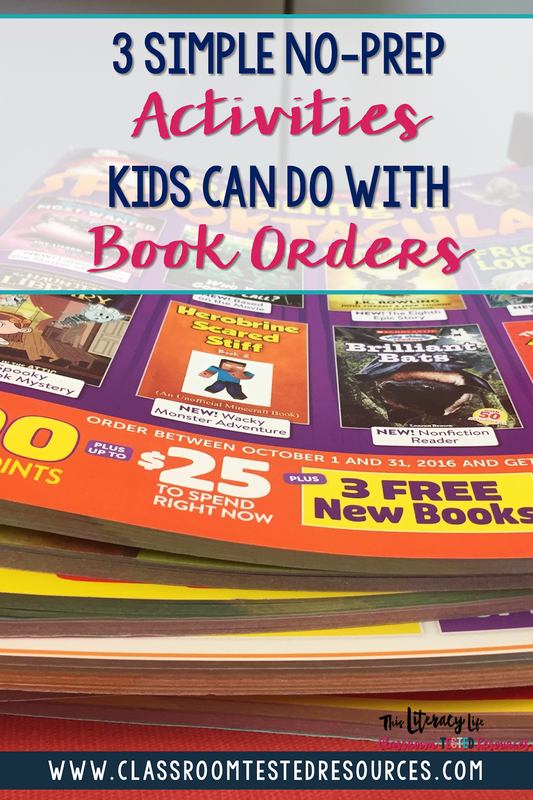 As a reading specialist, I get every book order catalog imaginable ~ all the way from PreK through 5th grade and all of the special ones. I end up with stacks and stacks. I rarely send them home with my students, but I do use them to help with various skills in the classroom. But I do use them with several different activities students can easily do to show learning. How many of you have used those great interest surveys? I have, and they do tell a lot about what your students may want to read. But sometimes kids don't know what their favorite books are. In my school, many of our students haven't had much experience with books, especially outside of the classroom, and they can't remember names of books they enjoy. Using a book order as part of your interest survey is a great way to find out more about what your students may want to read. Children can read the summaries and look at the covers to decide what they may enjoy reading. They can glue them on the back of the interest survey, or it can even be an entire interest survey in itself. I love using book orders to help review various skills. After studying various genres, this quick assessment will help students learn more about books and sort them. I went to a workshop one time where the presenter had us complete a genre sort with some pictures of books. Some books I had never seen and didn't know they were poetry. Having the summaries along with the book helps students figure out which genre the books fits best. This was how it all started! One year I was helping a teacher in her third grade classroom with author's purpose. I put students into groups and gave them some of my book orders. They had to read the blurb and place the books into the correct purpose. It was so fun to listen to the students as they got excited about the books and discussed where they fit. An added perk to working with book orders is the orders you receive after the activity is finished. After working with the catalogs, we sent home the book orders. My friend received her largest book order ever because the kids already knew what they wanted and talked it up with their parents. It was a win-win for everyone! 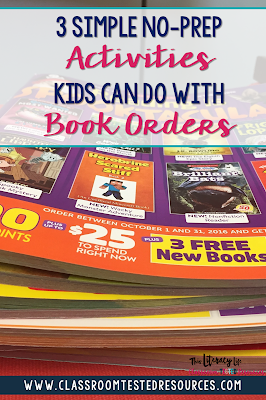 So, don't throw away those book order catalogs when you don't have to the time for a book order. Use them to enhance your instruction and make it more meaningful for students. Then send them to the library to get the books or beg the library to purchase some of these books they have seen! 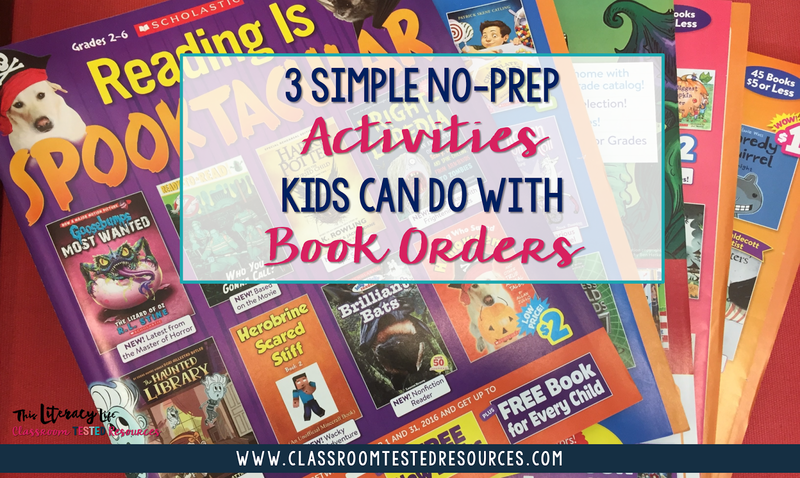 What are some other ways you can use book orders in your classroom?